Care Chiropractic Clinic is your full-service Chiropractic Office offering a number of safe and effective treatment options to get you out of pain and back to enjoying your life! Dr. Nancy Gravel uses a number of highly-effective adjusting approaches to help improve spinal biomechanics and reduce nervous system interference. The approach she uses is based on her clinical judgment and years of experience. If you’ve been to a chiropractor before and prefer to be adjusted in a particular way, let her know. We want you to relax, enjoy and fully benefit from your chiropractic care. 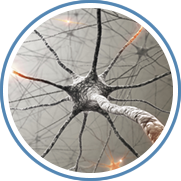 Using BrainCore Therapy, we look for brain wave dysregulation and provide help that “re-trains” the brain to generate the right waves at the right times and with regularity. BrainCore Therapy painlessly makes permanent change in the brain resolving a number of conditions such as ADHD, panic attacks, fibromyalgia, insomnia, learning disorders, depression, PTSD and more with a 70-80% success rate! Therapeutic modalities helps with soft tissue injury and supports chiropractic therapy by getting your soft tissues ready to support your spine. We provide a number of therapeutic modalities to customize your care including electric stimulation, laser therapy, ultrasound, exercises and more.